If you’ve got a special place in your heart for Zach Galifianakis, SNL is lookin’ out for you! Look. We know: Not every episode of Saturday Night Live can be the funniest thing ever. Plus, Justin Timberlake has better things to do than be the show’s musical guest every week. But that doesn’t mean you shouldn’t watch the show even when JT’s not around to sing and Adam Levine can’t host. Some weeks, even without them, the gang from SNL manages to put on a good show. We expect this week to be no different. Why? 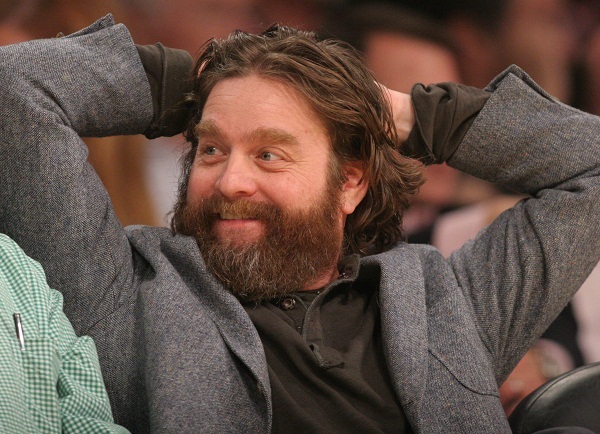 Two words: Zach Galifianakis. Plus, four more words: Of Monsters and Men. What we’re saying is that there’s absolutely no way this Saturday won’t bring about a brilliant new episode of the late-night classic. Zach Galifianakis started his career as a stand-up comedian, but didn’t see true success until he starred in a little movie called The Hangover. Playing the part of the well-meaning but slightly slow future brother-in-law Alan, Galifianakis kept everyone in stitches as he starred alongside a monkey, a boxer and a handful of other equally talented dudes. The following year, he went on to star in Youth in Revolt, It’s Kind of a Funny Story, Dinner for Schmucks (alongside Steve Carell) and Due Date (with Robert Downey Jr.). Now, just a few short weeks before The Hangover III releases in theaters, it’s time for Galifianakis to play host to the funniest show ever (in its time slot), Saturday Night Live. We recommend delaying the consumption of all beverages until commercial breaks. Spit takes are only funny on TV. Making their SNL debut alongside Galifianakis is the folk/pop crossover band Of Monsters and Men. 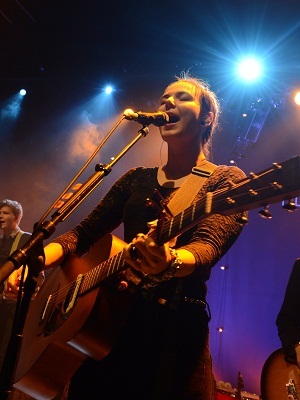 Of Monsters and Men immediately made a splash on American radio with “Little Talks.” Despite their decidedly folk sound (which is definitely an “American” genre), the band actually hails from Iceland. Seriously. How much more Icelandic can you get than names like Ragnar, Nanna, Brynjar, Arnar, Árni and Kristján? Yet their music and lyrics have resonated deeply with American music lovers. In other words, ladies: At the very least, make sure to DVR Saturday’s brand-new episode of SNL.